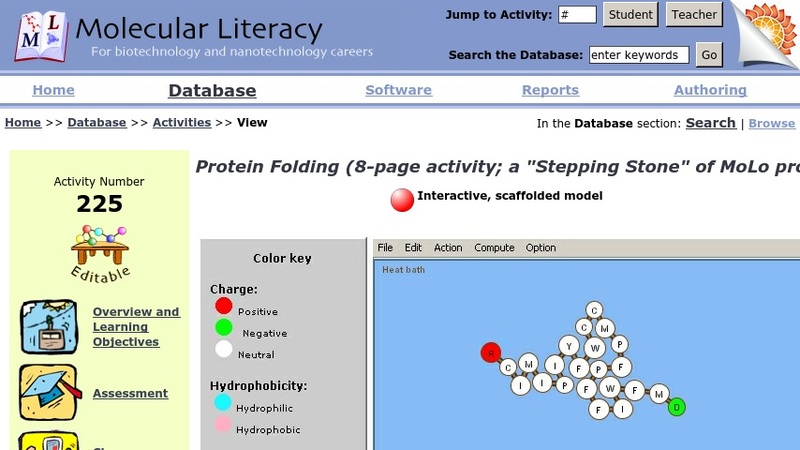 In this activity students discover how the properties of amino acids (charge and polarity) affect the shape of a peptide chain. They explore the complex interactions of amino acids with each other and with the surrounding water molecules or lipids. Sickle Cell Anemia is used as an example of a disease caused by a single amino acid substitution. Students will be able to: Explain how charged amino acids can affect a protein's shape; reason how interactions with water molecules or lipids affect the shape of a protein; explain how a disease can be caused by a single amino acid substitution.